Juglans × intermedia (Juglans nigra × Juglans regia) is considered the prototype walnut for quality wood production in Europe. Hybridization between the parental species is rare under natural conditions and difficult using controlled pollination because of phenological and genetic incompatibilities. The identification of hybridogenic parents is the first step toward obtaining hybrid progeny. We report the application of microsatellite markers for DNA fingerprinting and parentage analysis of half-sib families collected in a natural mixed population for which no phenological and morphological data were available. Ten nuclear, neutral, simple sequence repeat markers were used to analyse 600 samples. The high levels of polymorphism detected positively influenced the exclusion and identity probabilities. The assignment analysis revealed the presence of 198 diploid J. × intermedia hybrids among the seedling progeny. Maternity checks were performed on all individuals and few errors of sampling were found. Four distinct hybridogenic mother trees were identified, each showing different reproductive success rates. The 198 diploid hybrids belonged to four open-pollinated families based on an analysis of paternity using a likelihood approach. Differential male reproductive success was observed among pollen donors within the research site. Forty-nine of the 198 diploid hybrids detected in four progenies were sired by only three J. regia genotypes. 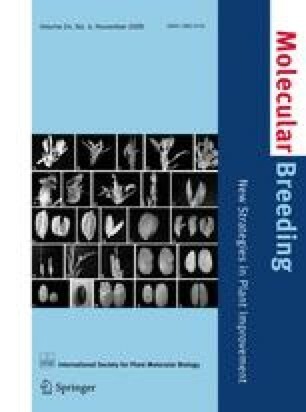 Backward selection might be used to establish new seed orchards for inter-specific F1 hybrid production using genotypes with demonstrated compatibility. This research was supported by a PhD fellowship from Tuscia University of Viterbo and developed in the framework of the Italian Project “RI.SEL.ITALIA”(the Italian Ministry of Agricultural Policy, Sottoprogetto 1.1 “Biodiversità e Produzione di Materiale Forestale di Propagazione) coordinator Dr. Fulvio Ducci (CRA Ist. of Selviculture, Arezzo, Italy). The authors thanks Dr. Agnes Major, Marcello Cherubini and Daniela Taurchini for their support in statistical and laboratory analysis. The use of trade names is for the information and convenience of the reader and does not imply official endorsement or approval by the United States Department of Agriculture or the Forest Service of any product to the exclusion of others that may be suitable.